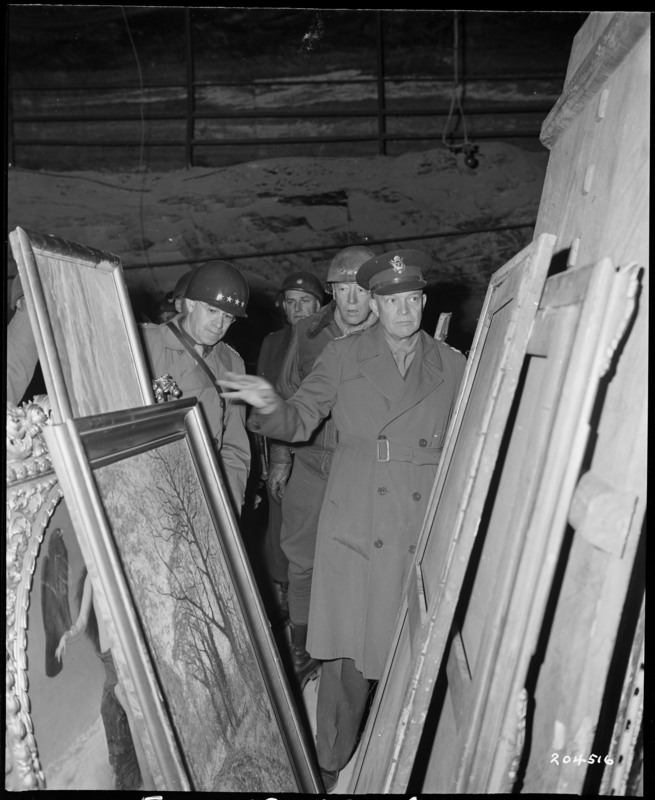 Gen. Dwight D. Eisenhower, Supreme Allied Commander, accompanied by Gen. Omar N. Bradley, left, CG, 12th Army Group, and Lt. George S. Patton, Jr., CG, US Third Army, inspects art treasures stolen by Germans and hidden in a salt mine in Germany. 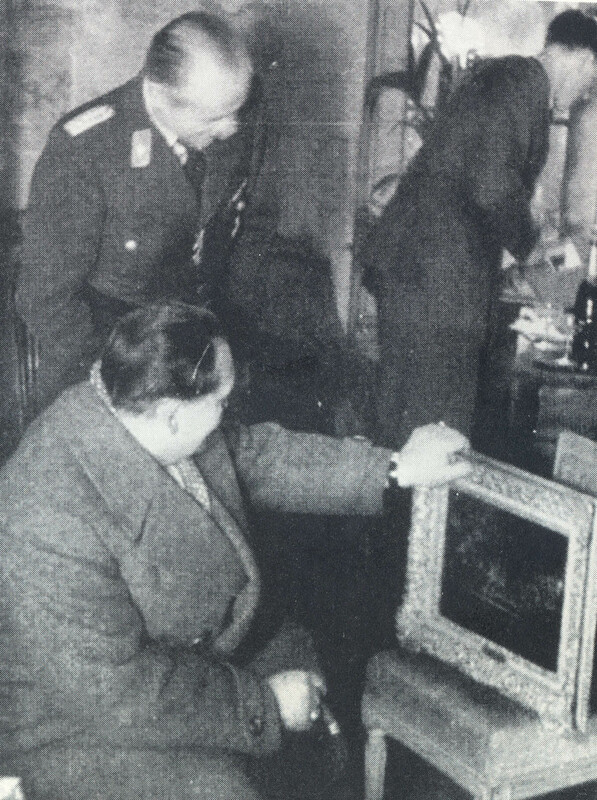 Hermann Goering, Hitler’s deputy perusing looted art in Paris’s Jeu de Paume. Goering collected looted art. 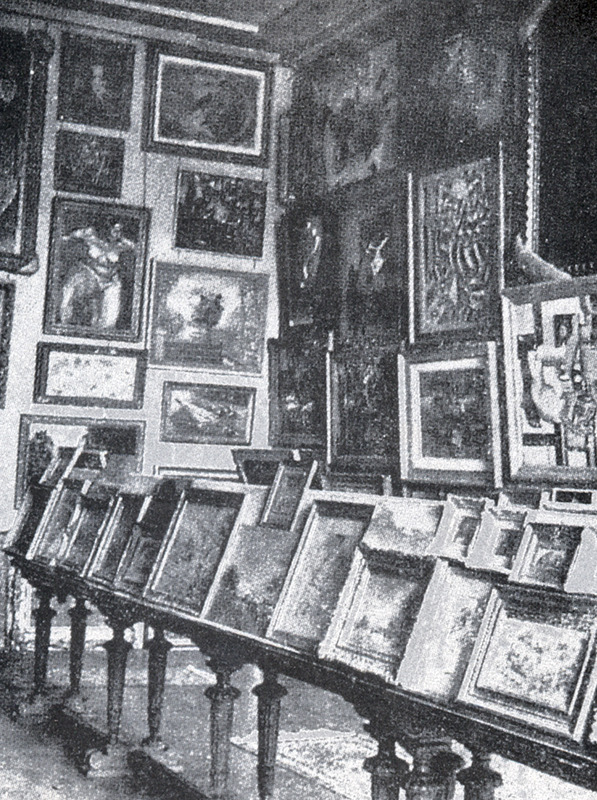 Jeu de Paume, Paris, the Nazis’ central gathering point for looted art. More than 22,000 works were stored there.